Announcing the Cosplay Competition at The International, featuring a $15,000 prize pool up for grabs during the Main Event of the year’s premier Dota 2 tournament. We invite all dedicated cosplayers to craft their best Dota-themed costumes and make the journey to Seattle in August for the Main Event of The International. Contestants do not need to be event ticket holders—all cosplayers who register to participate will be admitted to a Prejudging Phase near the event venue. The Performance Finals will then take place on the Main Event stage to determine who will walk away with the winner’s share of the cash prize. 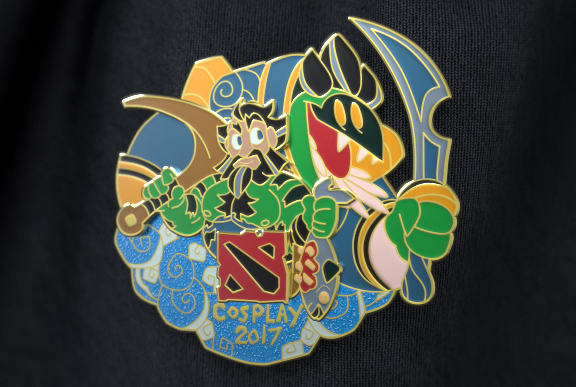 Regardless of placement in the competition, all registered cosplayers who meet entry requirements will also receive this year’s Dota 2 Cosplay Crest upon appearing in cosplay during the Prejudging Phase of the competition. As with last year, the 2017 Cosplay Competition will be administered by PGL. Please visit PGL’s sign-up page to register for more information.